Contact Us – Get a Quote! Innomax is one of the leading web design & SEO companies in India that provide affordable web development and online marketing solutions. 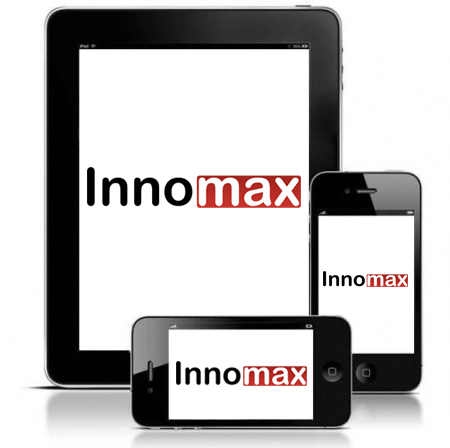 Since its inception in the year 2007, Innomax has helped hundreds of businesses to establish their strong online branding. So yes, we can say that we’ve acquired a solid understanding of web development, online marketing and social media marketing through the diversity of projects that we have handled successfully. Our mission is to help small and medium-sized businesses across the globe by providing them with a robust & profitable website and implementing online marketing strategies to achieve their business goals such as raising brand awareness, increasing search engine visibility or increasing lead generation. What are the services that we provide? A successful online business starts with a great website and thats what we do. Our web development team have expertise in website development using WordPress, Joomla, Magento, PHP & other open sources. Hire our PPC experts team who can help you to manage & optimize your PPC campaigns by implementing effective keywords management, bids management & conversion optimization strategies. Facebook Advertising is a great medium to bring targeted traffic to your website. We offer effective yet affordable Facebook marketing solutions for our clients. Our Facebook marketing package also includes conversion tracking,offers/coupons promotion and regular posting on your Facebook page. Search Engine Optimiztion (SEO) is one of the best methods to bring organic traffic on a website. We provide effective SEO services at affordable prices. As an SEO agency, we track nearly every aspect of SEO strategy, like increases in rankings, traffic and conversions.. Interested to Grow Your Leads & Sales? Contact Us now!